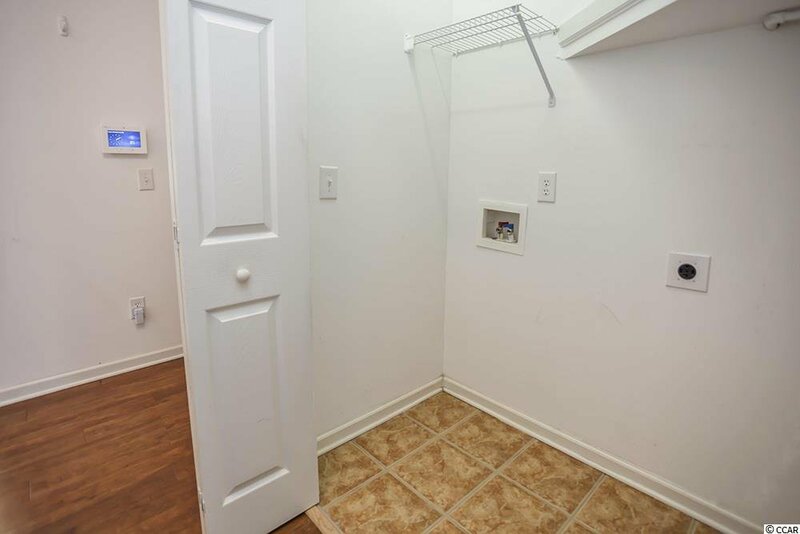 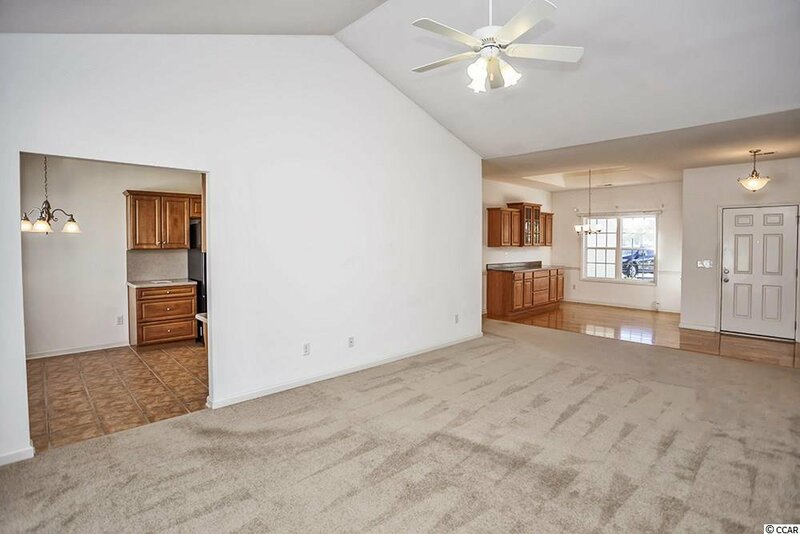 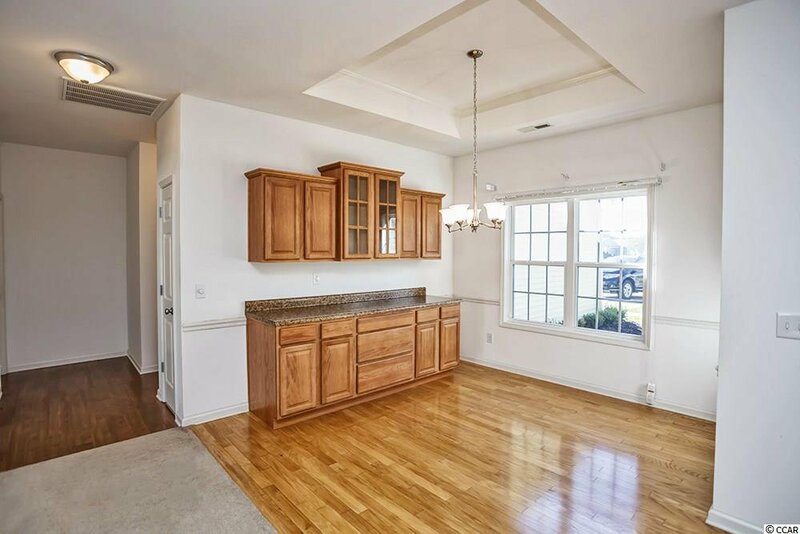 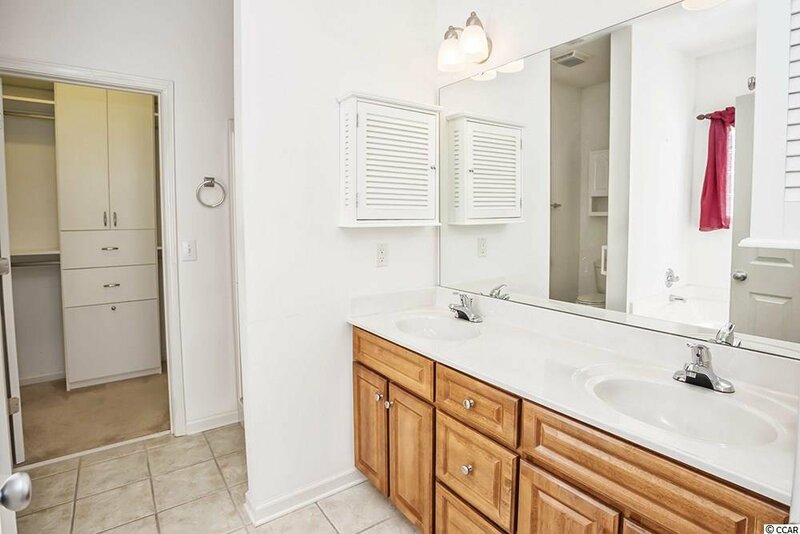 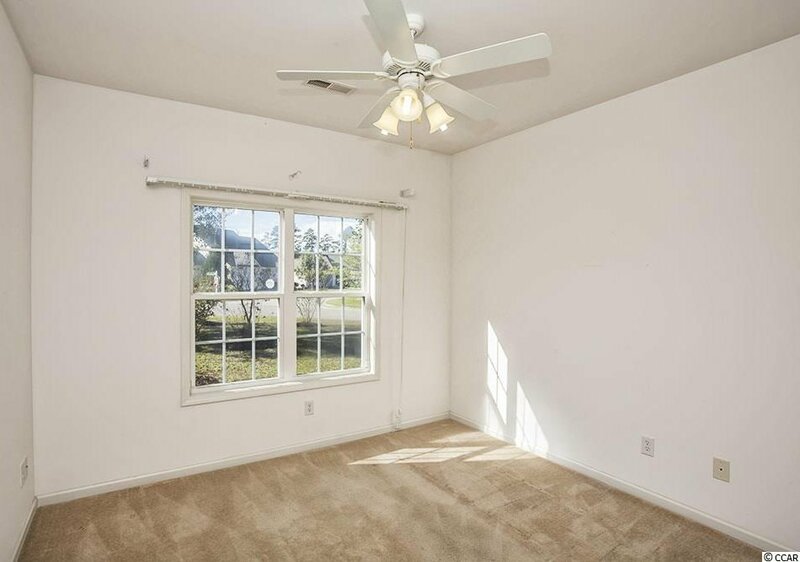 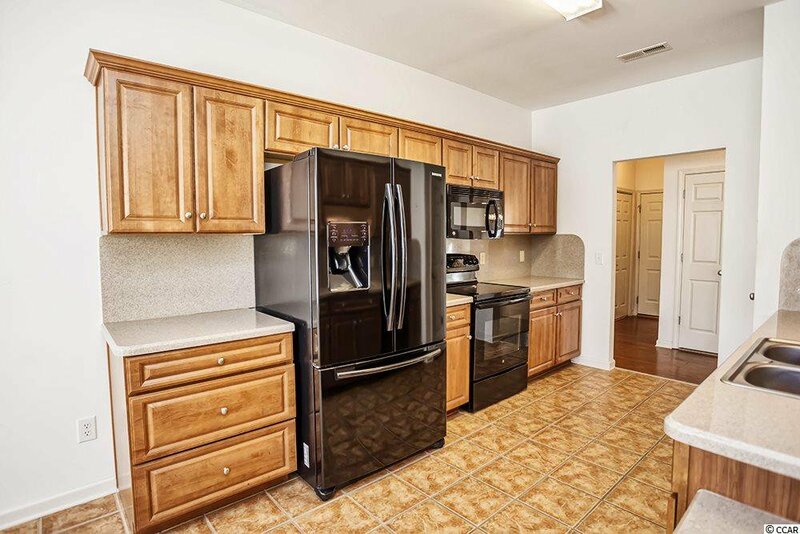 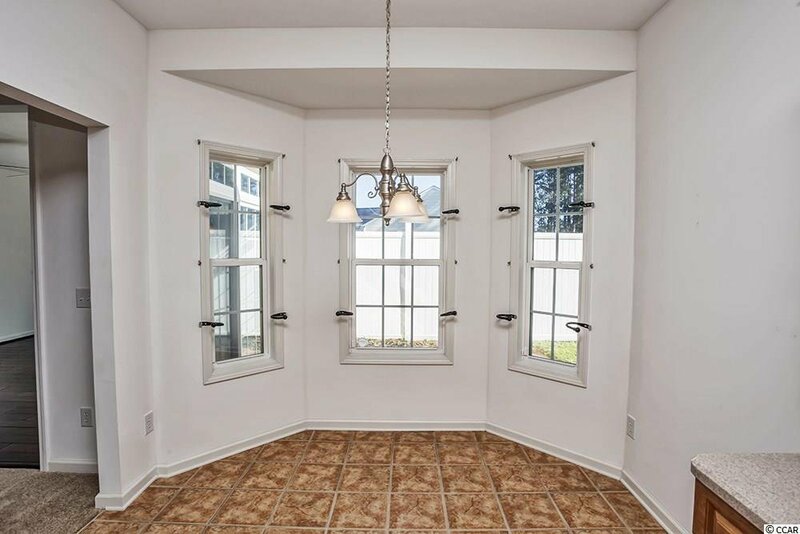 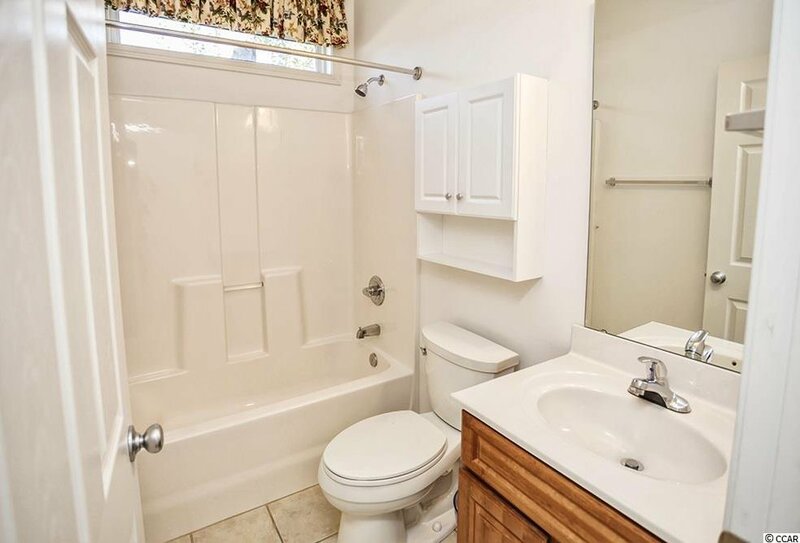 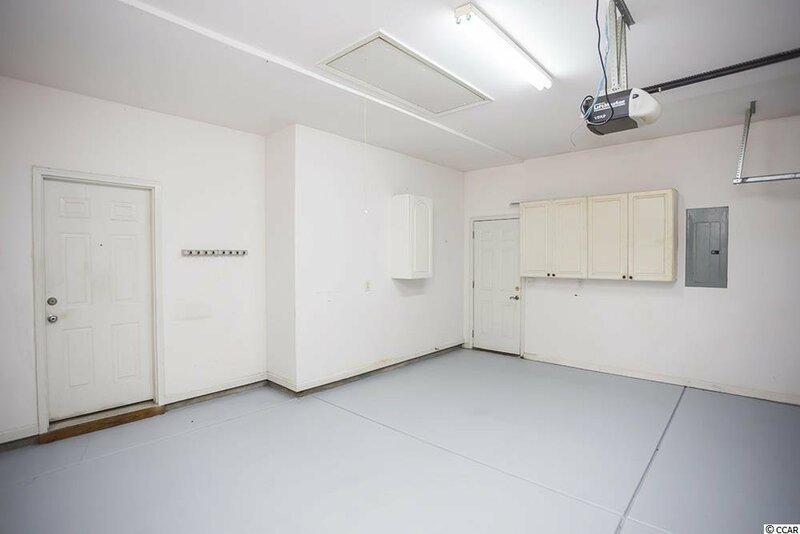 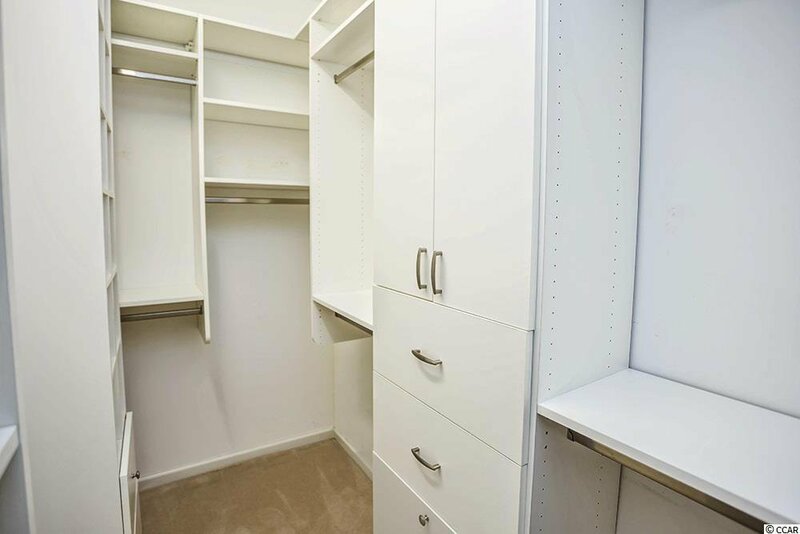 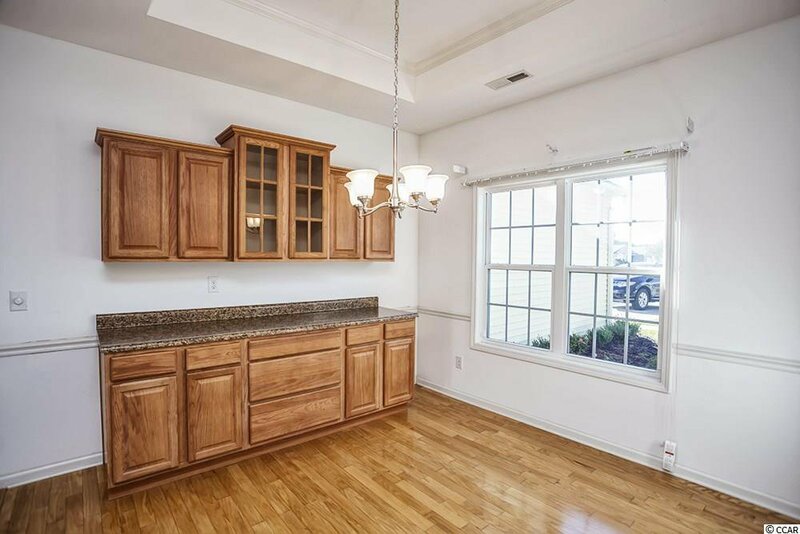 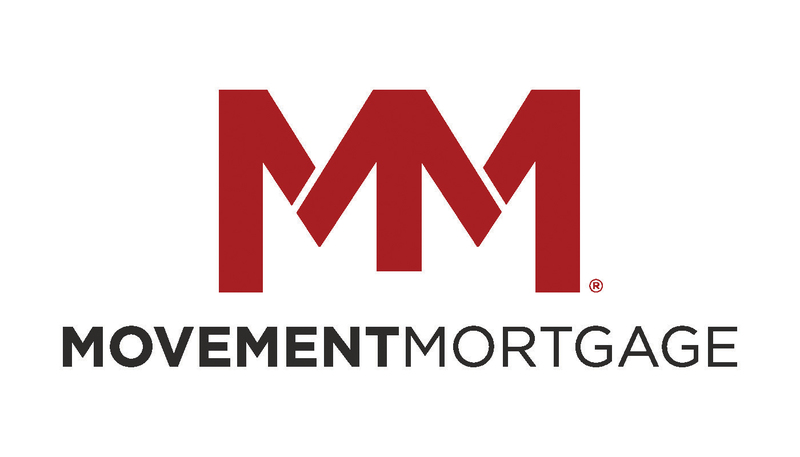 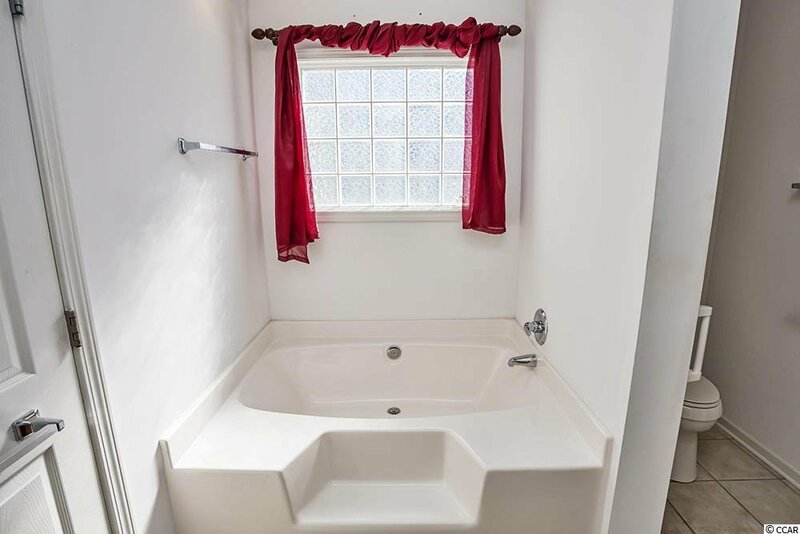 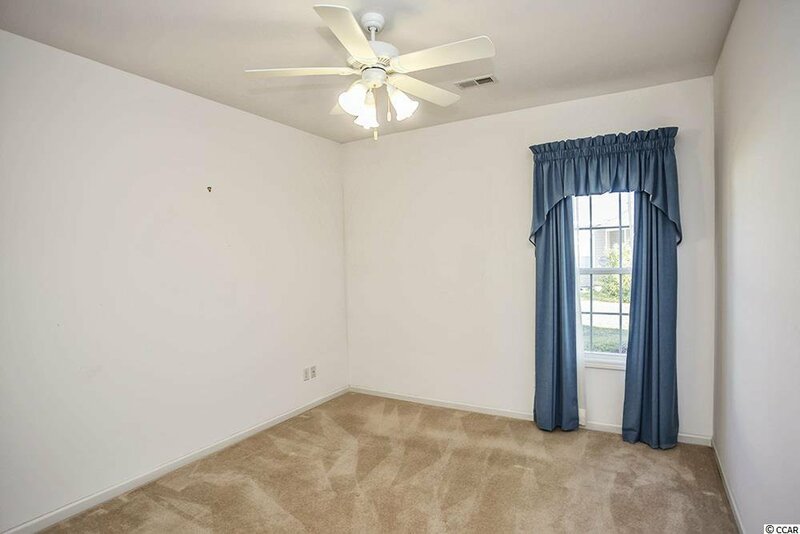 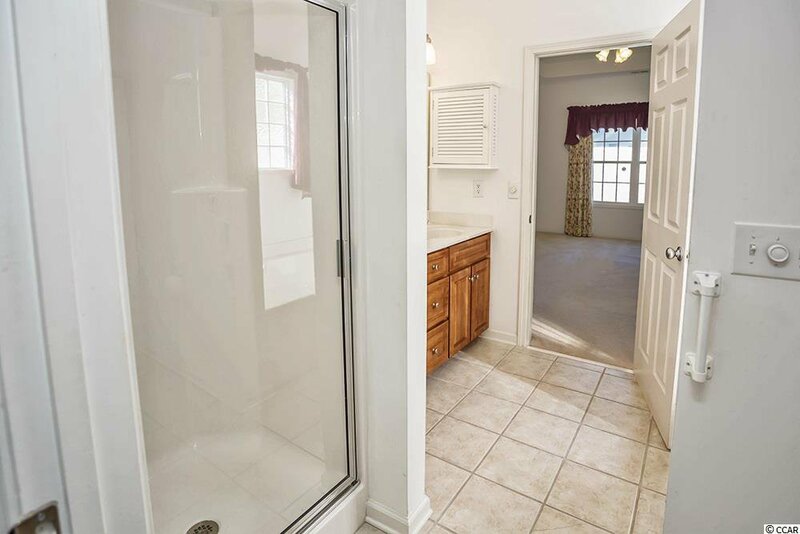 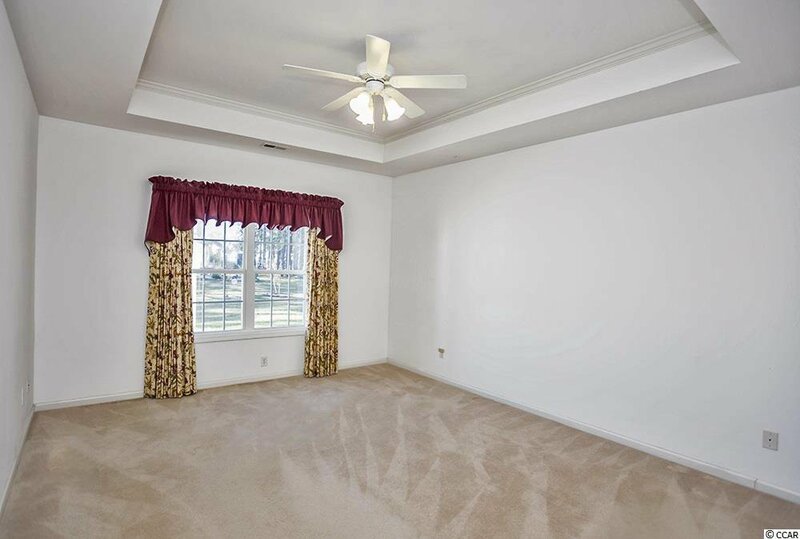 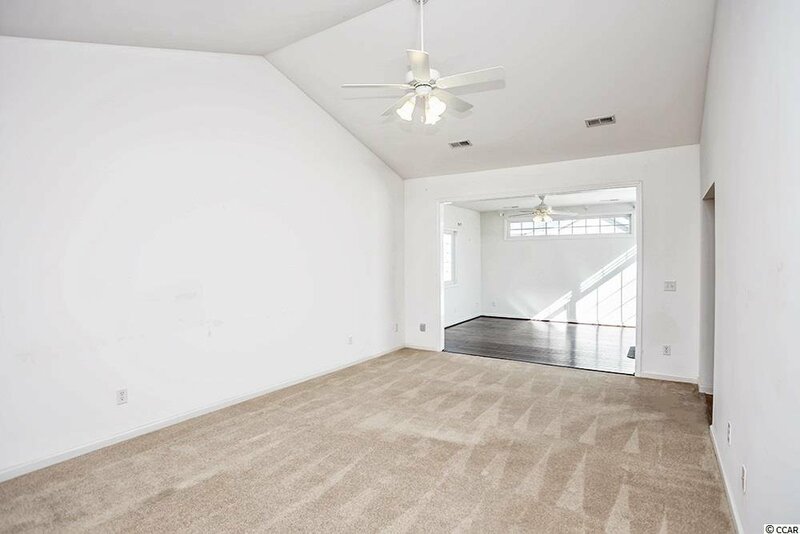 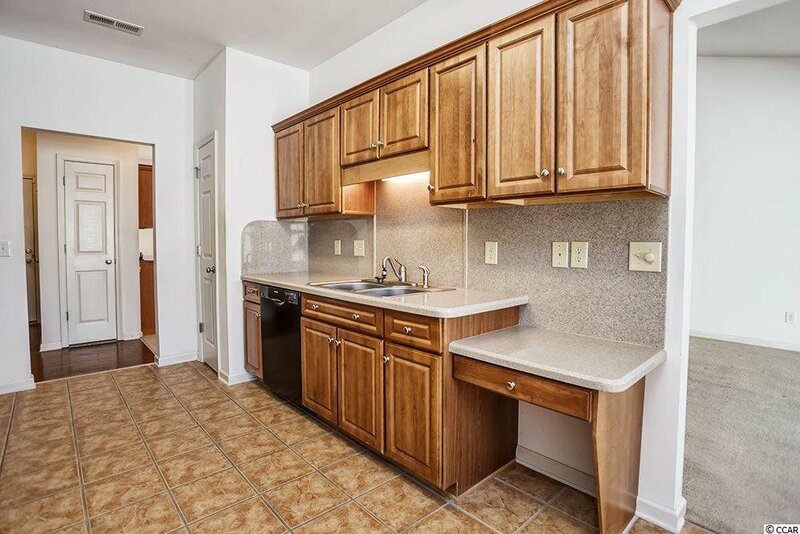 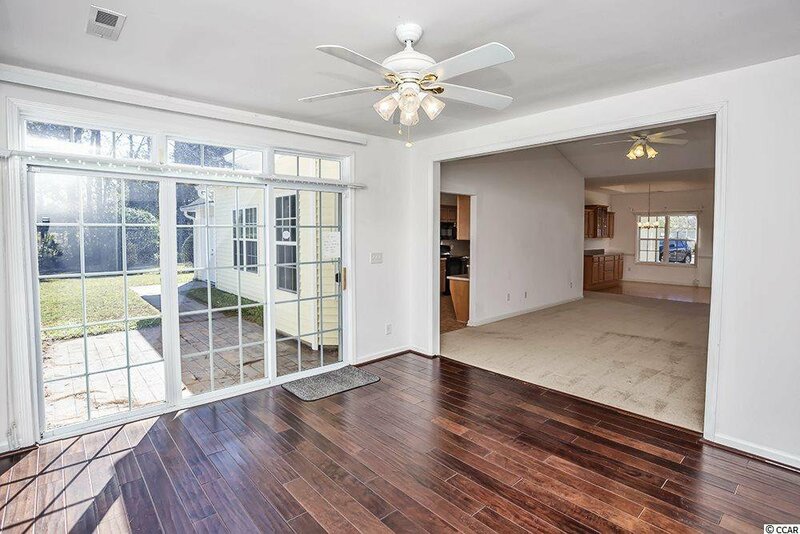 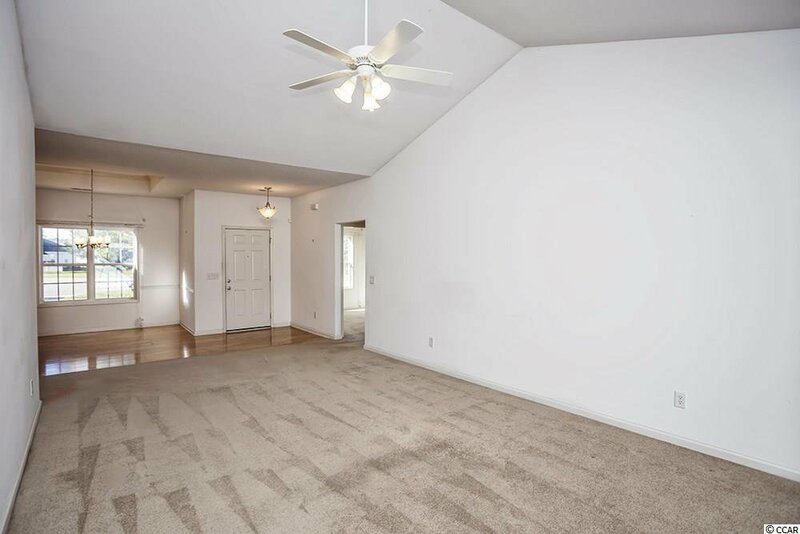 Looking for a blank canvas to make your own that's move-in ready? 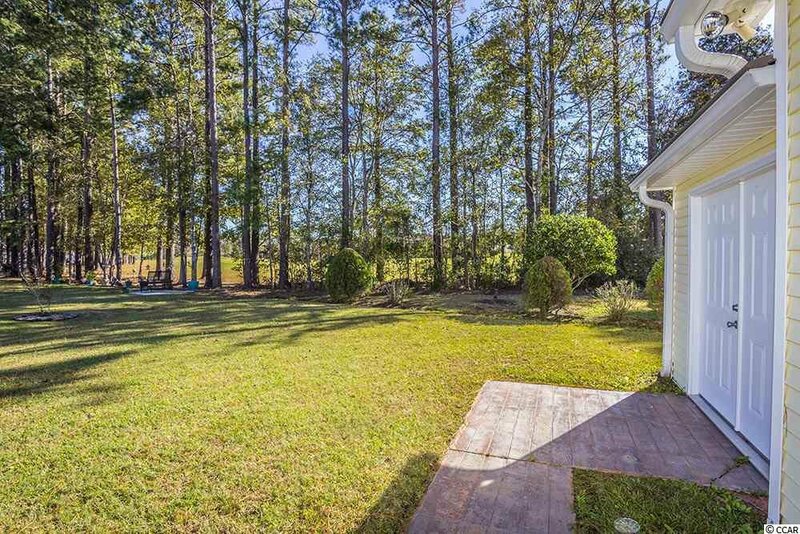 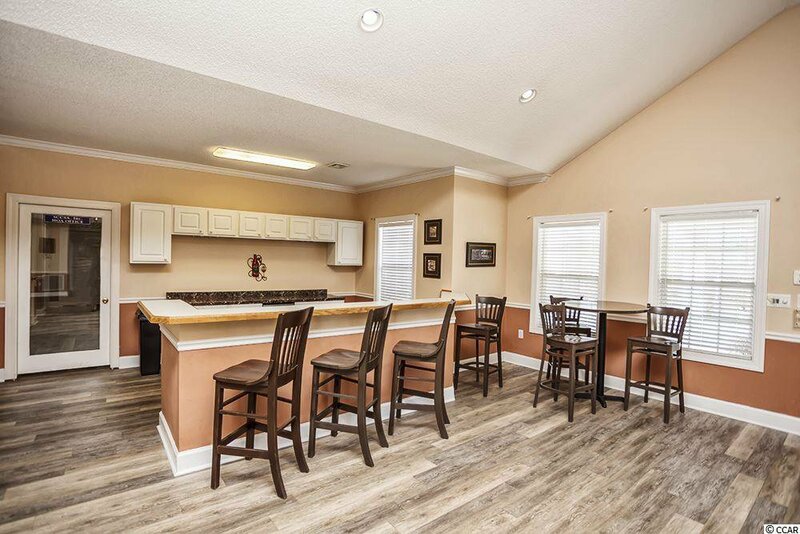 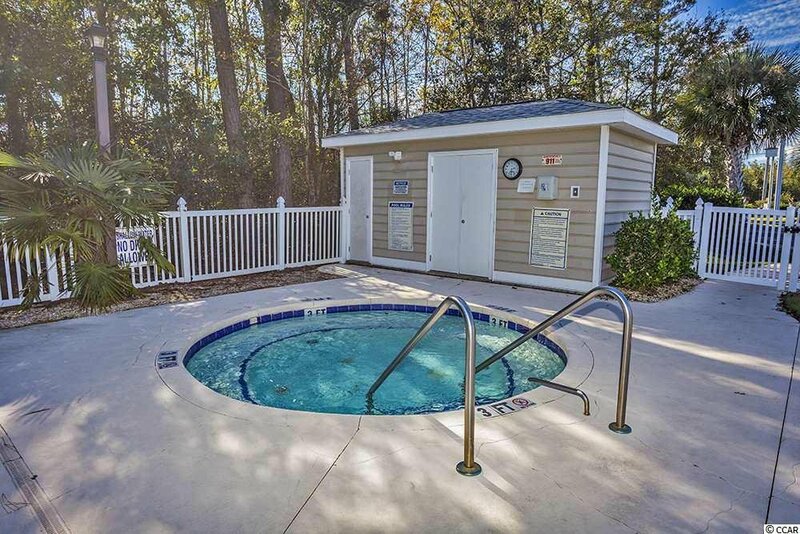 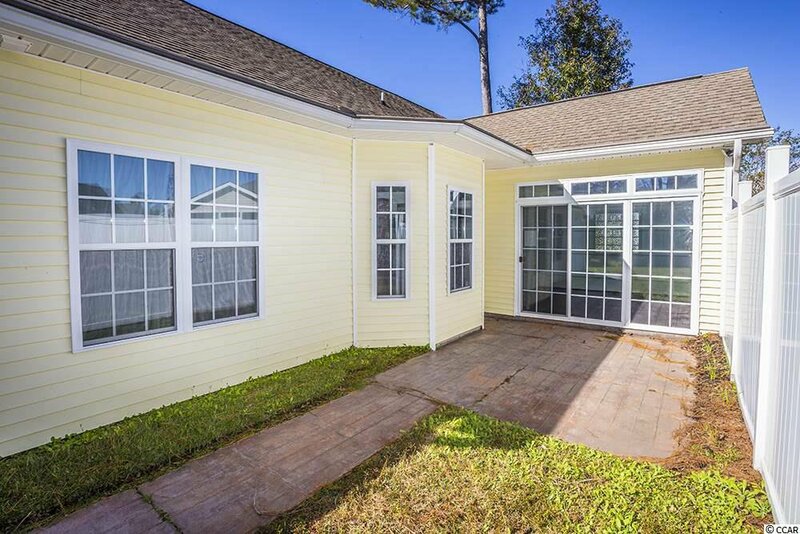 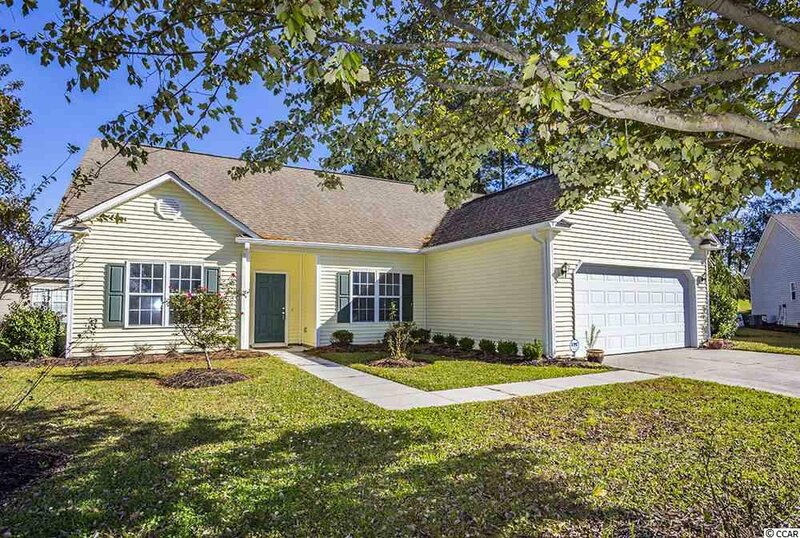 Upgraded and spacious describes this 3BR 2BA with Carolina Room home located in Sun Colony on a large corner cul-de-sac lot with side views of the golf course. 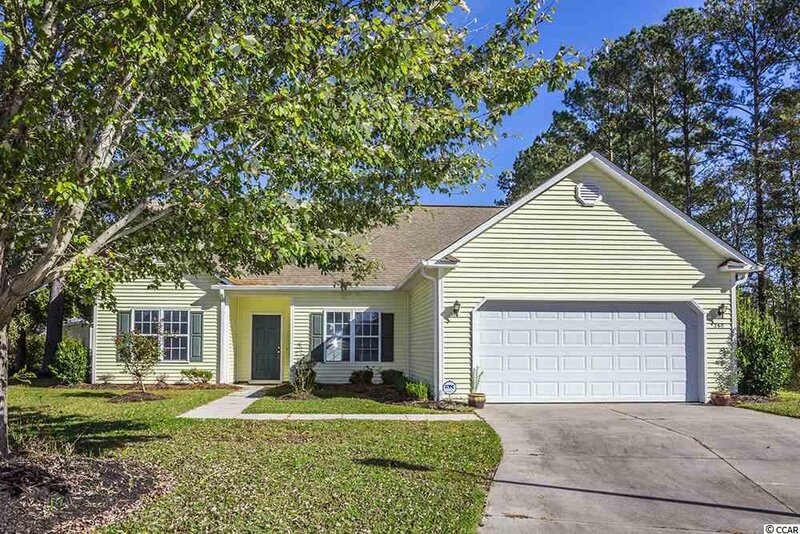 This home offers vaulted ceilings in Great Room, an open split bedroom floor plan, 9ft ceilings, tray ceilings in MBR and dining area, dining area is also appointed with hardwood floors and a custom built-in buffet cabinet with granite countertop, wood laminate floors in the 14x13 Carolina Room overlooking the privacy fenced back patio, custom closets and ceiling fans in every bedroom, ceiling fans in Great Room and Carolina Room, kitchen has hard surface countertops extending to the backsplash throughout with pull out shelving, extra cabinetry, tiled flooring and a large pantry, MBA presents double sinks, garden tub and walk-in shower, two car garage with storage cabinetry, a true laundry room, a large attached storage shed in the rear of the house and a whole house security system. 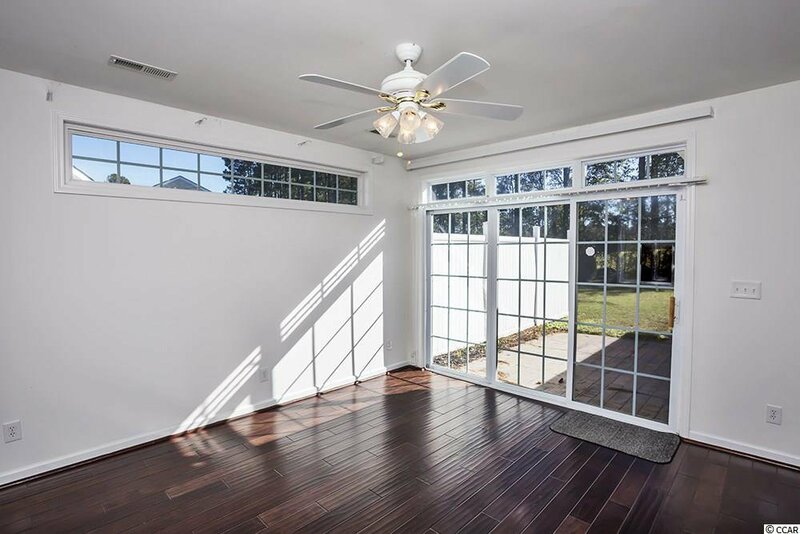 3M Security Film installed on all windows providing both security and hurricane protection. 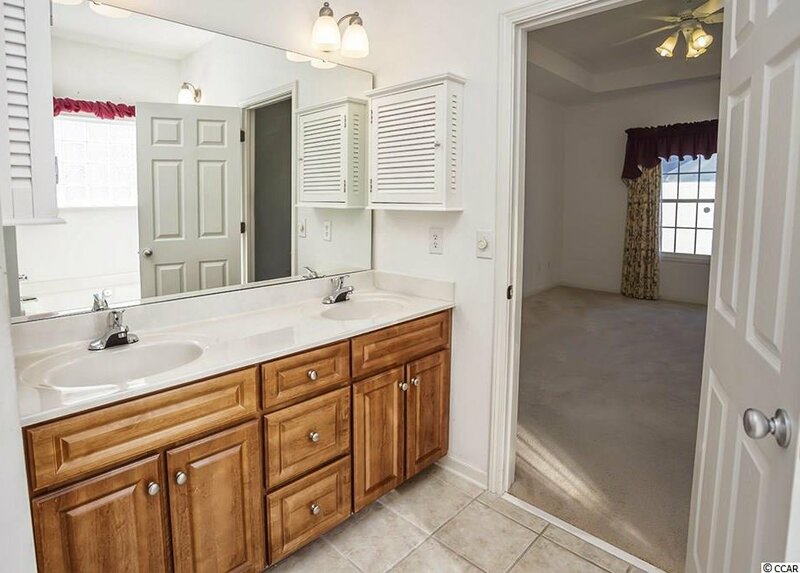 There's a lot of bang for your buck in this house and lot, so come and see it in person to really appreciate it. 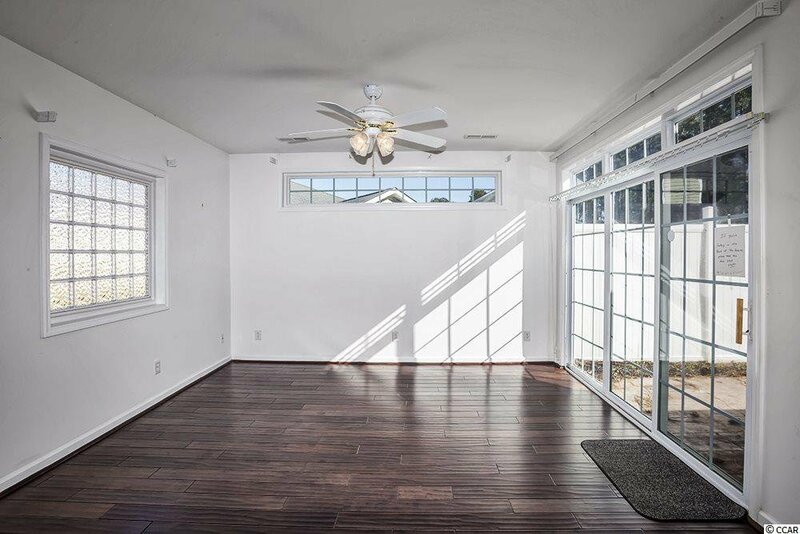 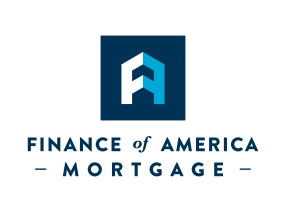 All information is deemed reliable, square footage is approximate and should be verified by buyer or buyer's representative. 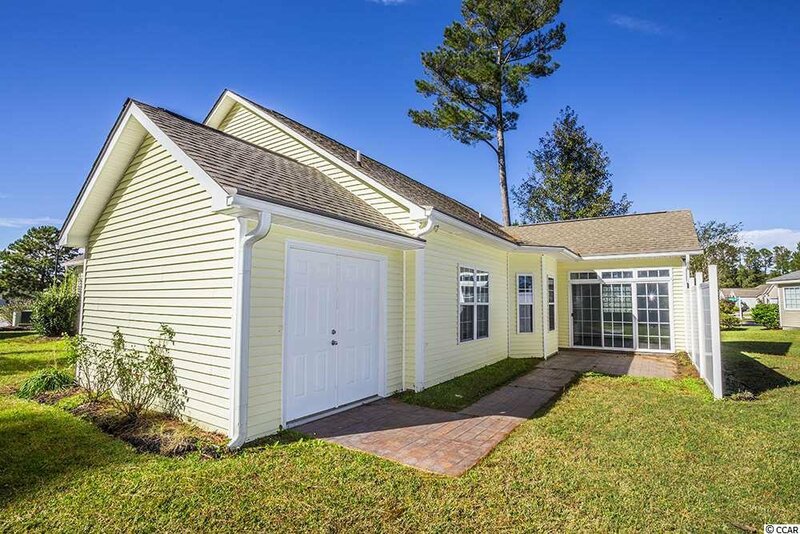 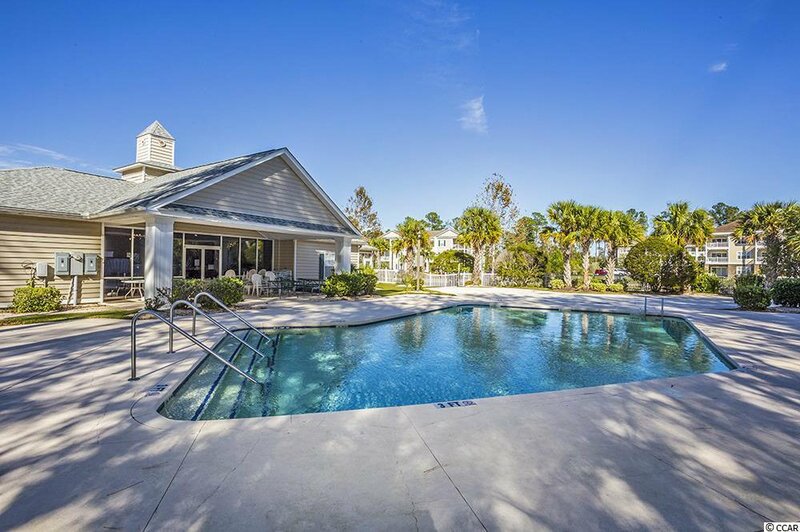 Listing courtesy of Beach & Forest Realty , Misty Greenway. 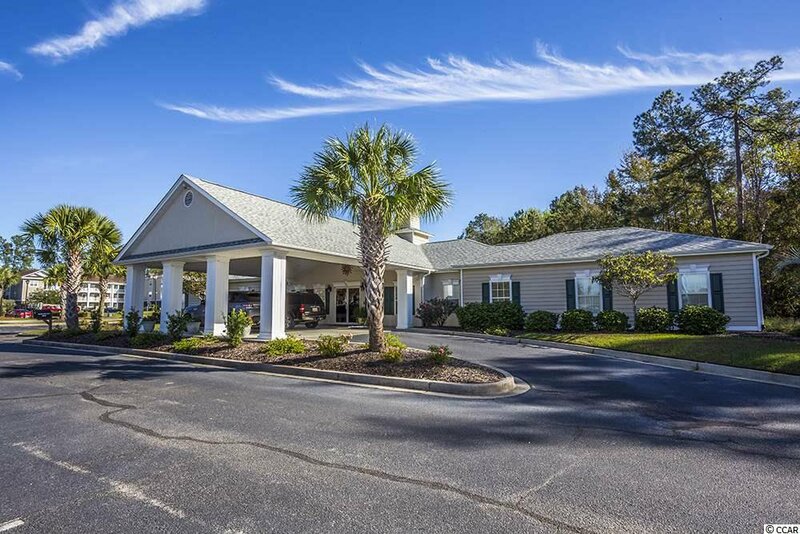 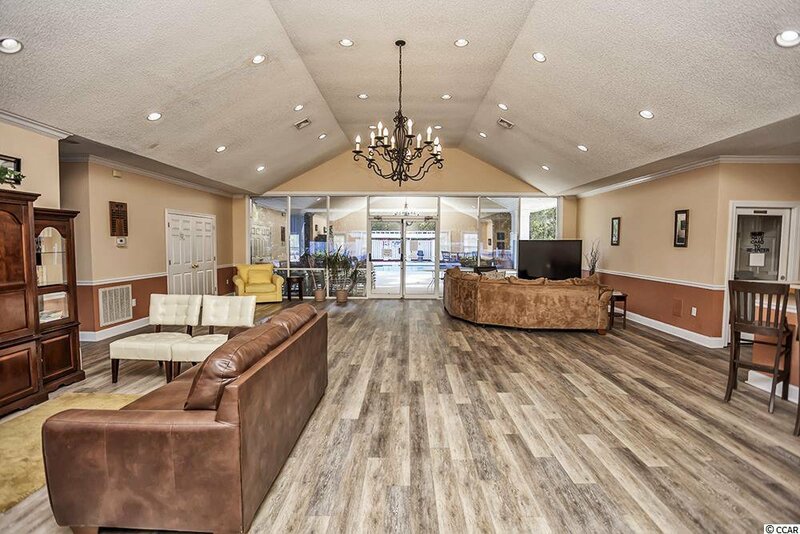 Selling Office: Century 21 Barefoot Realty , Phil Kennedy.